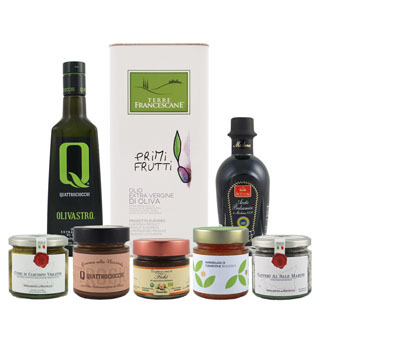 A blend of organic extra virgin olive oils from the Tuscia region of central Italy. Produced from Leccino, Frantoio and Maurino olive trees grown in nutrient-rich volcanic soil, the olives were harvested at their peak moment of ripeness in order to recieve their optimum flavor and health benefits. The oil has a balanced profile with medium bitterness and pungency, and long lasting aromatic profile with notes of grass, fresh almond and artichoke. A perfect oil for cooking and dressing white meats, it's also excellent with both roasted red meats and beef tartare. Try pairing it with tuna salad, sauces, bean soup, or hard cheeses.